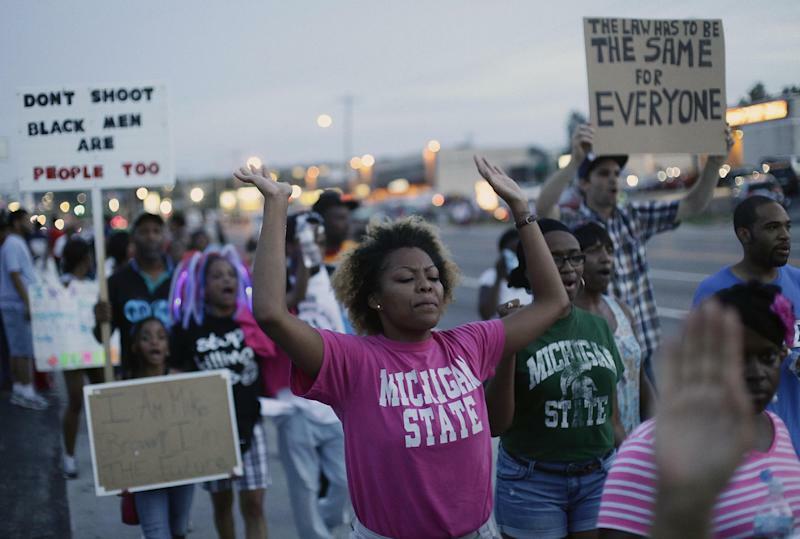 Ferguson (United States) (AFP) - A police officer in Missouri was suspended Friday after he used Facebook to lash out at protesters condemning the fatal shooting of an unarmed black teenager by a white police officer. A second officer in the Midwestern state was taken off the beat pending an internal review over a YouTube video in which he boasted about being a Jesus-loving "killer." 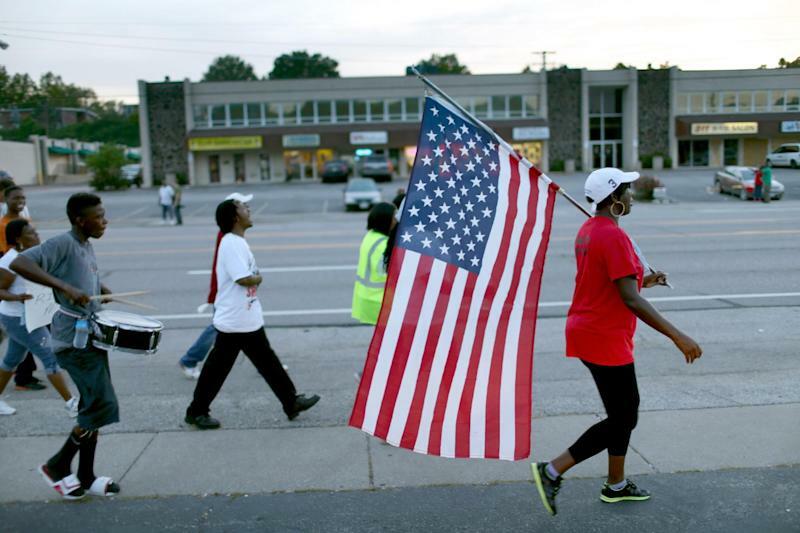 Meanwhile, some 150 demonstrators returned to the streets of the St. Louis suburb of Ferguson at sunset Friday to demand justice for the August 9 death of Michael Brown. Funeral services for the 18-year-old -- whose shooting in broad daylight has renewed a national debate about race and law enforcement in America -- are set for Monday. 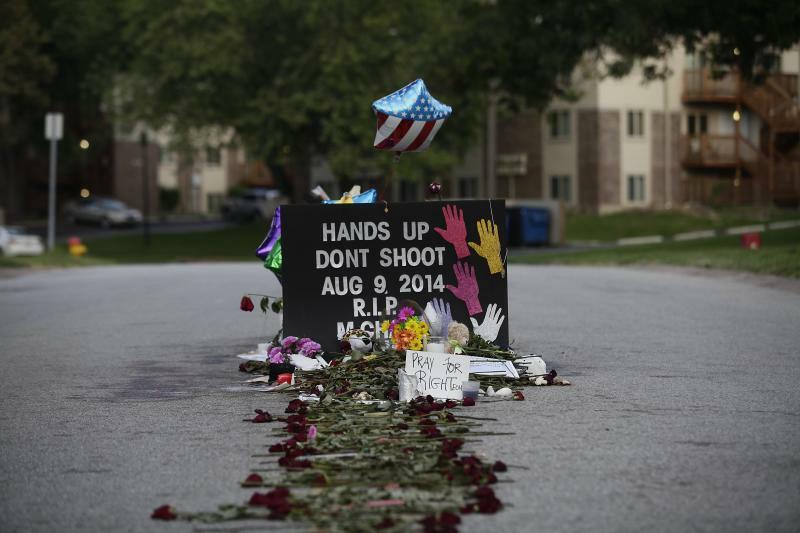 Police kept a low profile, in sharp contrast to previous nights when tear gas and rubber bullets were used to disperse hundreds of protesters demanding that Darren Wilson, the officer who shot Brown, be charged with murder. The police department in Glendale, another St Louis suburb, said Friday it had suspended one of its officers who had expressed contempt for the Ferguson protesters on his Facebook account. "I'm sick of these protesters. You are a burden on society and a blight on the community," wrote Michael Pappert, in one of at least five posts that have gone up since Sunday. "These protesters should have been put down like a rabid dog the first night," he added. In a reference to the Boston Marathon bombing, he also wrote: "Where is a Muslim with a backpack when you need them." The Glendale Police Department, in a statement, said it suspended Pappert upon learning about the posts on Friday. It also cancelled a neighborhood block party for fear it might be disrupted by protesters. "The matter is being taken very seriously and a thorough internal investigation will be conducted to determine why the posts were made," it said. It stressed that Pappert's posts were "absolutely" not shared by the Glendale police or city government. The suburb of 6,000 is 97 percent white. Press photographers recognized Pappert as one of hundreds of St Louis area police officers called into Ferguson as crowd-control reinforcements. One photographer remembered seeing him threatening journalists with a night stick. "He was ready to swing at us," he recalled. On Wednesday, Ray Albers, a police lieutenant from another St Louis suburb, St Ann, was suspended after he pointed a semi-automatic assault rifle at Ferguson protesters and, using obscene language, threatened to kill them. His conduct was captured in two videos that promptly went viral on YouTube. Meanwhile, St Louis County Police said Friday it was opening an internal investigation into an officer assigned to Ferguson who, in a 2012 YouTube video, styled himself as a ruthless killer. "I personally believe in Jesus Christ as my lord savior, but I'm also a killer," said Dan Page, a 35-year veteran of the force, who was speaking to a group called the Oath Keepers of St Louis and St Charles. "And if I need to, I'll kill a whole bunch more. If you don't want to get killed, don't show up in front of me. It's that simple," he said. "I'm into diversity -- I kill everybody. I don't care," added Page, who also made disparaging remarks about President Barack Obama, the US Supreme Court, Muslims and homosexuals. St Louis County police chief Jon Belmar told the St Louis Post-Dispatch newspaper he was "deeply disturbed" by Page's remarks about killing. Page -- who allegedly shoved a CNN anchor in the middle of a live report from Ferguson -- has been taken off police work until the internal review determines whether he should be suspended, Belmar said.